I like to think of my website as an extension of myself. It’s real, it’s fun and it’s never quite “done.” So, after two years of blogging, it was time for a tune-up. While STRENGTH+Sole was being refreshed behind-the-scenes over these past few weeks, I’ve been checking out sweat-inducing studios, cool classes and new gear to share with you. From Union Square’s first Sweat Fest to CLAY Cycling and Core Fusion, booked via multi-studio membership program FitReserve NYC, I’ve been fending off the deep freeze by working up a sweat. 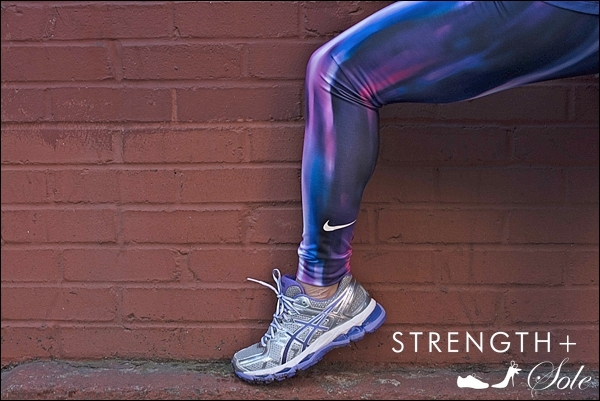 And, now, here it is: the best version of STRENGTH+Sole yet…for now! The new and improved nav bar will help you find exactly what you’re looking for, from fitness reviews to fashion posts. I hope that the big, beautiful images will bring you closer to my favorite things and inside these featured studios–inspiring you to log on and sign up. So, here’s to a little self-improvement…and the official start of spring, coming soon. I’d love your thoughts on the re-designed site. Thank you to SIX:02 for partnering on this post. Top: Nike, Leggings: Nike (similar here), Sneakers: ASICS. SIX:02 offers clothes, footwear & accessories to fit your body, activity and style; you’ll find brands like Under Armour, Nike, adidas, Asics, Reebok, Mizuno and Brooks. My personal #SIX02Moment is cycling at 7 a.m. before the “official” work day begins. What’s yours? From the bottom of the deepest lunge that I could ever do, a huge shout-out to Rachel Loeb Graphic Design for our new look. Not only does Rachel wake up at 5 a.m. every morning to work out (how’s that for dedication? ), she’s got a killer sense of web style and an unparalleled eye for all of the techie details. Connect with her here. Love the new look! Best of luck and keep on blogging! Glad you’re back. I have missed you. Luv those leggings!! welcome back, new site looks great. keep it up.